Our easy 4-step process makes it simple to order your compounded prescriptions online. 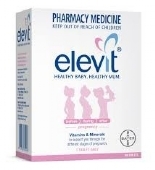 Welcome to 123 Chemist Online, bring to Australia’s consumers of pharmaceutical, personal care, beauty and related products the convenience and economy of an online pharmacy. As well as the convenience of shopping online, at 123 Chemist Online we use our buying power to obtain incredibly good value for our customers. We are based in Western Australia, and we comply with all applicable Australian pharmaceutical standards, including of course those relating to internet sales and dispensing at distance. We employ qualified pharmacists who can attend to medication-related enquiries over the phone or by email. including lip care, nail and manicure products, skin care and sun tanning. We keep an astonishing variety of skin care products, from antiseptic cream to scrubs, moisturisers and cleansers. We keep abreast of the developments worldwide in skin care products to make sure we can always offer you the very latest technologies. Our sun tanning products include 3 in one skin care, moisturising and tanning from Le Tan. as well as comprehensive stocks of scents and fragrances for the ladies – names like Bulgari, Arden, Giogio and Gucci - we have over a hundred fragrance products for men. Diabetes control – we have blood glucose monitoring systems of every kind, including discreet electronic meters that require the tiniest blood samples to deliver dependable reports. 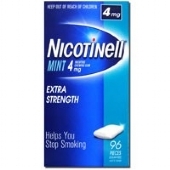 Quit Smoking – we can help you give it away with Nicabate patches and Nicorette gum. comprehensive stocks of non-prescription medicines for treating the common ailments. 123 Chemist Online is a registered Compounding Chemist, so we can supply prescription medicines in capsule, cream, gel or other medium specified by the customer. Yes, we can even take care of your pets! Take a moment to browse our online pharmacy catalogue, then place your order – we ship within 2 working days of receiving it.